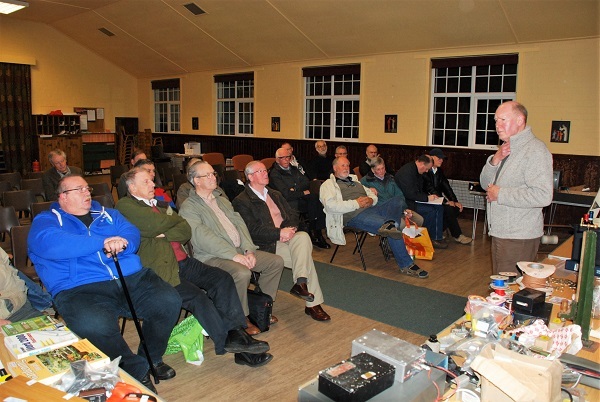 GMRT-2016, the Scottish Microwave Round Table, was held on Saturday 12th November at the Museum of Communication, Burntisland, organized by the Lothians Radio Society. 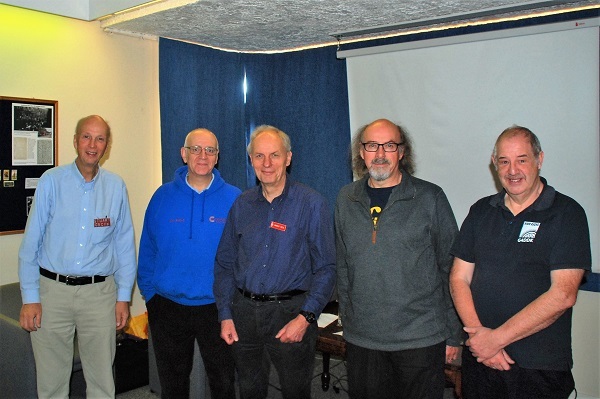 There was a turnout of about 45 for an excellent program of talks, with refreshments and lunch as well as an equipment test facility, a constructors contest and microwave components and surplus items for sale. In the evening there was a dinner at the nearby Kingswood Hotel with musical entertainment provided by the world-famous Microwave Trio. Click for photos on GMRT-2016 website. 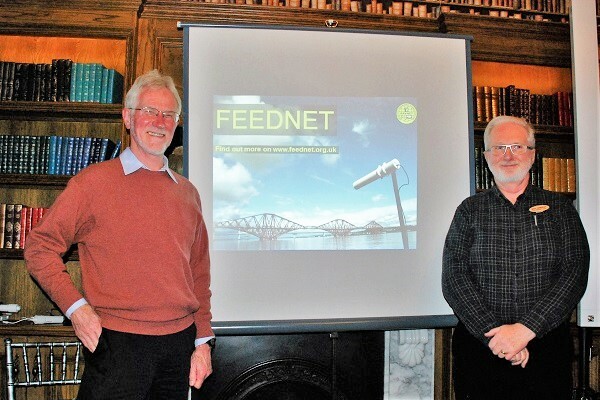 At the meeting of the LRS on 9th November 2016, Charlie Duncan of Lothians RAYNET and Stan Frey talked about the FEEDNET digital communications system employing the MESH data network that has been installed in the Firth of Forth area for use in emergency situations. A leading technical contributor to this project is LRS member Bernie McIntosh GM4WZG who was also present along with a number of visitors. Full Report. FEEDNET website. 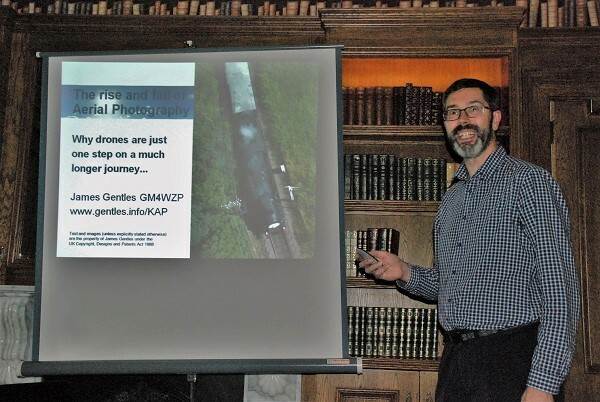 James Gentles GM4WZP made a very welcome return to the LRS on 26th October to present Aerial Photography. 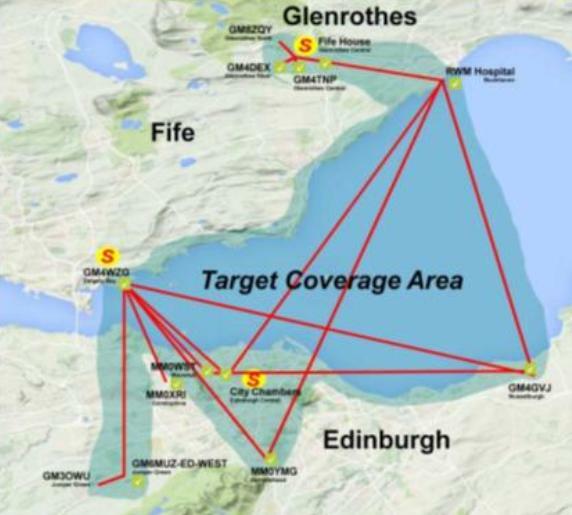 In James's last talk, on 23 January 2013, he described Kite Aerial Photography (click for report). Technology has advanced greatly in just 3 years, with drones now available to provide much greater flexibility and capability. 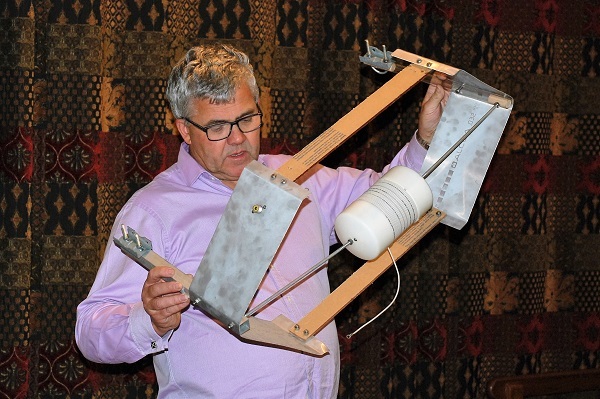 Visit James's website Gentles Limited (click) for a flavour of his talk. Click for Full Report. 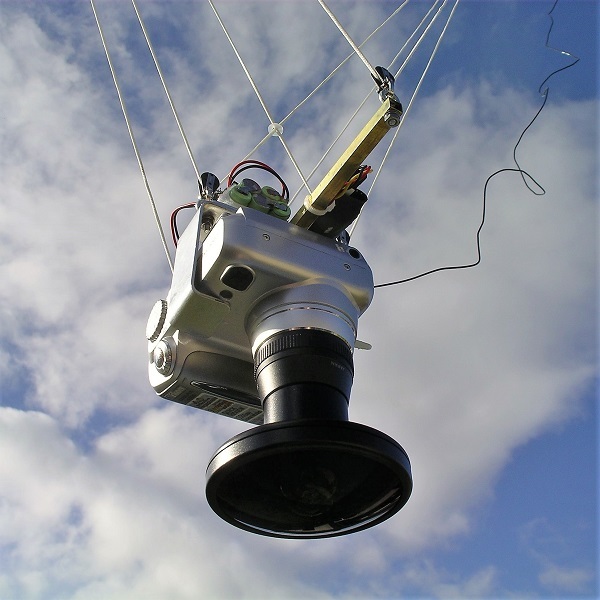 Drone camera with fisheye lens. LRS Secretary, Mike MM0MLB welcoming everyone. 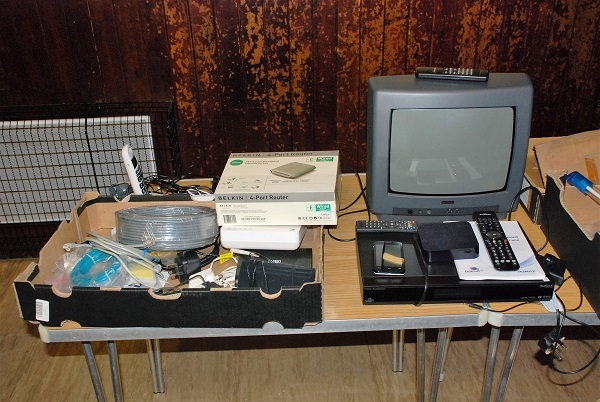 The LRS Autumn Surplus Equipment Sale and raffle was held on Wednesday 19th October 2016 at St Fillan's Church, Buckstone Drive, Edinburgh 10. There was a good turnout of LRS members and from other clubs, including GM1SXV all the way from Glasgow. The highlight of the evening was undoubtedly Colin's rendition of 'Loch Lomond' on his electronic accordion. Click for Full Report with many photos. 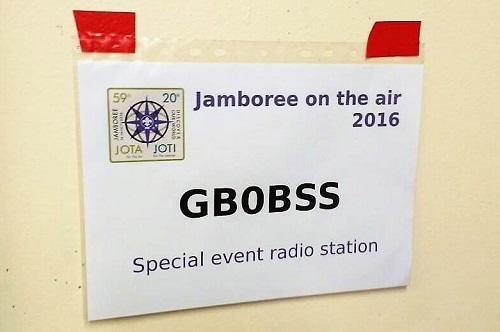 The Lothians Radio Society again operated in JOTA - Jamboree On The Air - from the Bonaly Scout Camp Site on Saturday 15th October 2016. 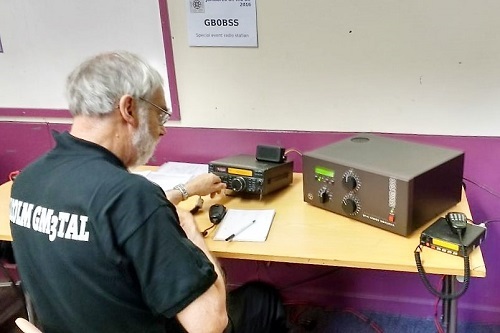 Using the special-event callsign GB0BSS, the operators were John Cooke GM8OTI and Malcolm Hamilton GM3TAL. This year they were in the Training Room, which was a bit warmer than the open barn used in previous years! 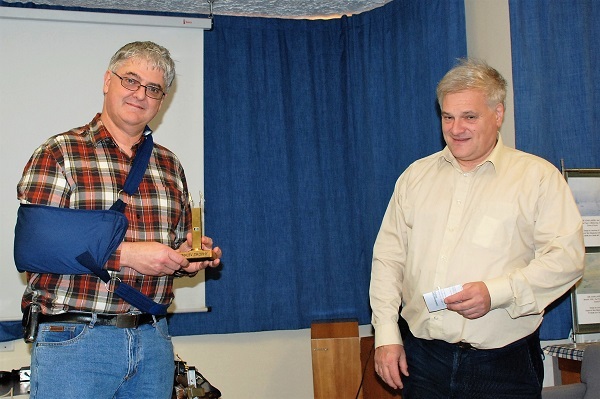 The room was shared with JOTI - Jamboree On The Internet. 11 QSOs were made during the afternoon, and it was busy, with 8 groups of scouts visiting. 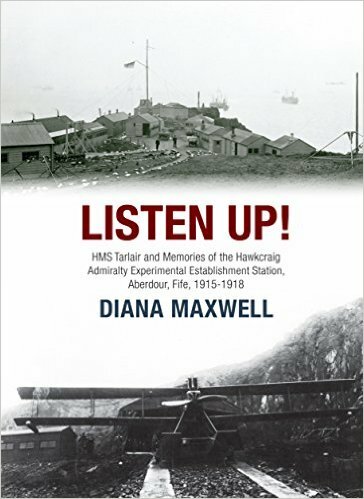 At the annual LRS visit to the Museum of Communication, Burntisland on 28th September local historian and author Diana Maxwell gave a talk based on her book Listen Up! 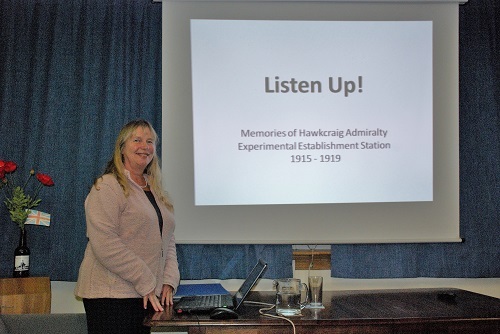 about HMS Tarlair, the Admiralty Research Station at Hawkcraig Point near Aberdour, which researched methods of detecting submarines during WW1. Click for Full Report with many of Diana's slides, with her permission. Attendees at the talk also had the opportunity to browse the current MoC exhibition "Wartime Advances, Peacetime Applications". (Click title for link). 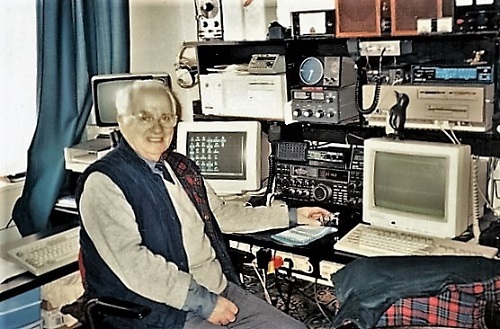 Bill Hunter GM3HUN, a former member of the Lothians Radio Society, died peacefully at the age of 90 in a care home on 6th September 2016. Bill had been a Sub-Lieutenant in the RNVR and an Officer in the Sea Cadets. He was a lifelong avid CW DXer and member of the FOC - First Class Operators Club. Click for Full Report & photos. 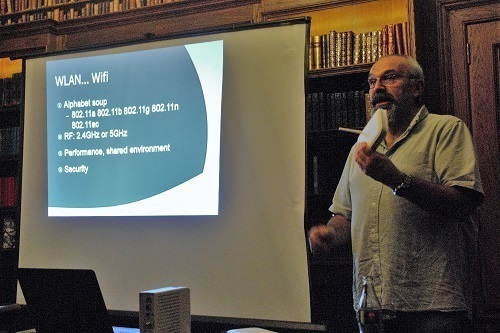 14th Sept: the first meeting of the new LRS club year was the Presidential Address by Andy Sinclair MM0FMF: "What's in the Box?" 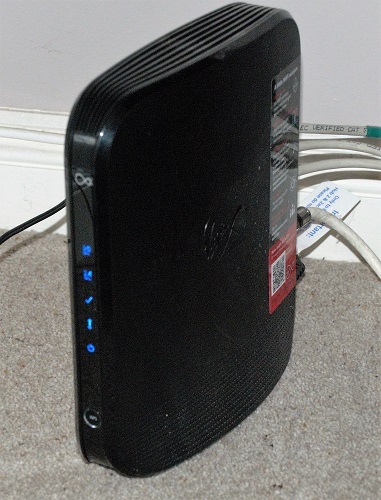 Home router / gateway).